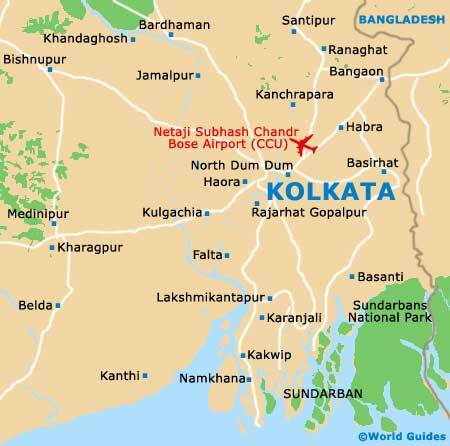 Kolkata's best-known landmarks are the Victoria Memorial and Howrah Bridge, and both are quite remarkable in their own way. When moving about the city, visitors will certainly take note of sights like regal St. Paul's Cathedral or the newer Birla Mandir Temple. The city's wealth of mosques are further important landmarks and include both the Nakhoda Mosque (Bentinck Street) and the Tipu Sultan's Mosque (Chowringhee Road). Full-throttle sightseeing in Kolkata is exhausting, and so it is important to insert a break here and there, with the colonial-era cemetery of South Park Street being ideal for this. A staggering 90 varieties of marble were used to construct this opulent mansion, built by Raja Rajendra Mullick Bahadur in the mid-1830s and still belonging to the same family. The personal collection of the Marble Palace's original owner is on display and includes Egyptian artefacts, Renoir paintings, delicate Ming-era porcelain and other treasures, while in the garden is a small zoo and landscaped planting. Family infighting makes the future of this private landmark somewhat uncertain. 'BBD' stands for 'Benoy, Badal and Dinesh', three Indian rebels who lashed out against British authority in the 1930s. 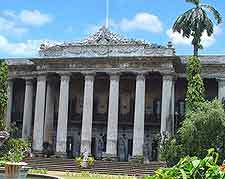 This central city square once served as the British administrative centre and today memorialises the trio and hosts a definitive collection of colonial architecture. Highlights include St. Andrew's Kirk, the Writer's Building and St. John's Church. 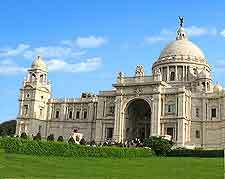 This domed monument is a Kolkata icon and proudly stands on the southern side of the Maidan Park. It was built to honour Queen Victoria several years after her death and is a lavishly opulent example of East-meets-West architecture. The grounds are meticulously well-kept, accented by marble domes and regal statues. 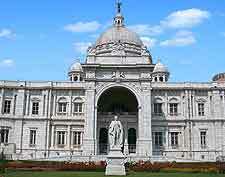 Visitors to the Victoria Memorial will enjoy touring the galleries and watching the evening sound and light show. This cemetery was first laid out in the late 18th century. It quickly became the final resting place for the social elite from the British Raj. Today, the cemetery is a lovely place to escape the commercial din of the Park Street area, having been extensively restored by the Asiatic Society. As you enter the main gate, you can purchase a guide book detailing the most important graves and grandest memorials. 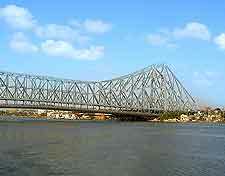 This is another of Kolkata's iconic structures and is known locally as the 'Rabindra Setu'. Spanning the Hooghly River with 700-metre / 2,300 feet's worth of cantilevered steel, this is the world's third-largest bridge. It oscillates and shivers with its load of 100,000 vehicles each day. The Howrah Bridge is visible from multiple vantage points in the city and took around six years to build, being finally completed in 1943. This whitewashed cathedral, with its spires and Florentine frescoes, looks like it belongs in the UK. St. Paul's Cathedral was built in 1847 and remains the main place of Christian worship in the city. Over the years, various remodelling work has been necessary owing to earthquake damage. The hardwood pews in the sanctuary are original, while the cathedral's golden plate was actually presented to the bishop by Queen Victoria. This temple is relatively new, with construction beginning in 1970, although the Birla Mandir was not actually completed in its entirety until 1996. Impressive for its sheer size, the entire structure is made of marble and fronted by towering pagoda-like monoliths. As this is one of the most impressive religious monuments built in India over the last few decades, pilgrims come from all over to take a look and to visit the main shrine of Laxshmi Narayan (an incarnation of the supreme god Vishnu).